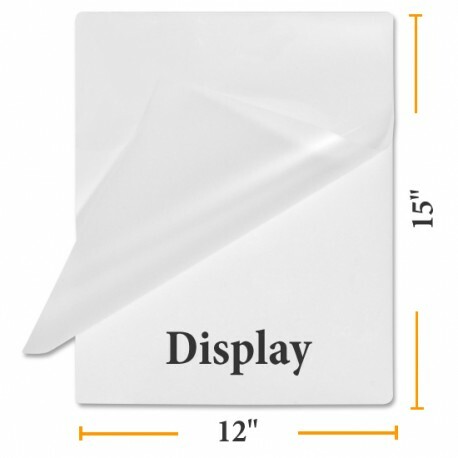 Pouch Measures 12" by 15"
Crystal Clear Display Laminating Pouches are sealed on one edge to create a laminating pocket to be used in thermal laminating machines. 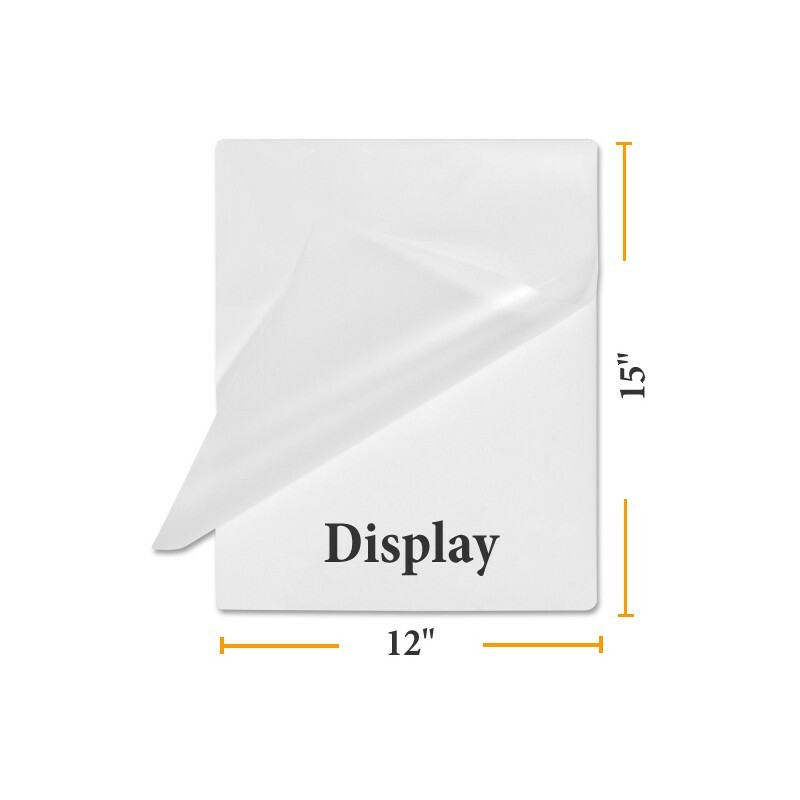 Protect important signs, displays and documents from UV rays, folding, spills and general damage with heat seal lamination. 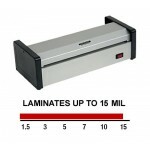 These easy to use, sign size heat activated lamination pouches offer a cost effective way to protect your photos and printed documents of all types.